Rabbi Benjamin Blech is an internationally recognized educator, religious leader, author, and lecturer. A recipient of the American Educator of the Year Award, he is professor of Talmud at Yeshiva University. He is the author of eleven books, including the New York Times bestseller The Sistine Secrets: Michelangelo’s Forbidden Messages in the Heart of the Vatican. He has written for the New York Times and Newsweek and writes a weekly column for Aish.com. He lives in New York City. Who Makes It to Heaven? While Blech’s book is uplifting and life-affirming, he does not flinch from asking (and answering) the hardest questions of all. Rabbi Blech has long been a friend and teacher from whom I have benefited greatly. In Hope Not Fear, Blech invites the world into his caring heart, insightful mind, and wealth of wisdom as he gets to the very core of our relationship with the Almighty while helping us understand the true meaning of our existence and destiny. In allowing us to confront our feelings of death, he mandates that we affirm our savoring of life. He draws upon his vast experience, personal encounters, and unparalleled knowledge to bring the world an awakening volume that will inspire us all. Really enjoyed it; beautifully written and quite fascinating. Rabbi Blech gets to the very heart of the human condition with superb insight, infinite compassion, and great wisdom. He draws on personal experience, pastoral training, and his profound mastery of the Jewish tradition to produce a universal guide for facing the inevitable with new understanding. His moving and accessible style transmits an indelible message: faith and love are stronger than despair and death. This is an intelligent and soulful exploration of the unknowable. Rabbi Blech doesn’t try to conquer death or ‘spin’ it or sugarcoat it. He’s amazed by death, but not fazed by it. He looks it squarely in the eye, turns it around, peels back the layers, and, ultimately, infuses it with meaning. Blech finds meaning in death by discerning divine meaning in life. If God is eternal, and we are created in God’s image, then we share in that eternity. Our physical bodies might die, but our little piece of God—our individual souls—never dies. Our souls live on in everything we have done in this life, in every person we have touched, every word we have shared, every song we have sung. Living with that awareness helps us fulfill our purpose in life. Perhaps it seems incongruous to speak of 'enjoying' a book on such a serious topic, but I must say that I have found these words profound, inspiring, and very real. Rabbi Blech has tapped into a vein of reflection that our culture shies away from, and has addressed the reality of death with gentleness, wisdom and an evident faith. The author has a gift for blending ancient insights with a deep sensitivity to our modern culture, his own personal situation, and a great deal of gentle humor. I read Hope, Not Fear and learned quite a bit. I was struck by the similarities between Judaism and Islamic traditions. Rabbi Blech’s personal anecdotes from his long and illustrious career are enlightening and informative. The extensive discussion regarding near death experience is very edifying. In Hope, Not Fear Benjamin Blech helps readers approach the end of life with calm. More than six years ago Blech was diagnosed with a fatal illness and given six months to live. Over the course of his career Rabbi Blech had counseled hundreds of people through the losses of loved ones and their own end of life, but when confronted with his own unexpected diagnosis he struggled with mortality in a new way. 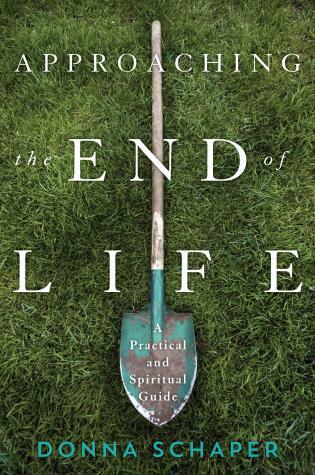 This personal and heartfelt book shares the answers people grappling with the end of life want to know—from what happens when we die to how we can live fully in the meantime. 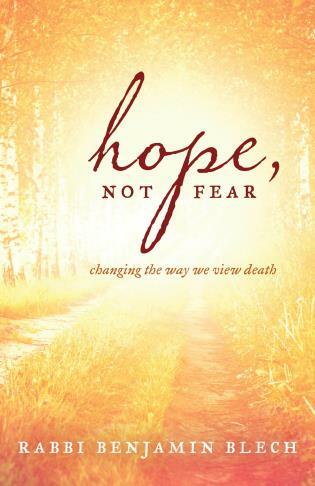 Drawing insights from many religious traditions as well as near death experiences, Hope, Not Fear shares the wisdom and comfort we all need to view death in an entirely new light.